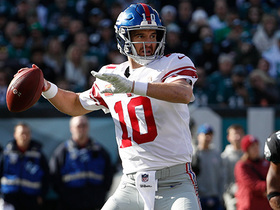 Shepard (ankle) agreed Wednesday to re-sign with the Giants on a one-year contract, Jordan Raanan of ESPN.com reports. Analysis: Shepard played more snaps on special teams (203) than offense (183) in 2018, catching 10 of 19 targets for 188 yards and two touchdowns. His value on the Giants' coverage units gives him a decent shot to stick on the 53-man roster for another season, and he might even compete with Corey Coleman, Cody Latimer and Bennie Fowler for the No. 3 gig at wide receiver. It's unclear if Shepard has made a full recovery from the ankle injury that held him out for the final two weeks of 2018. 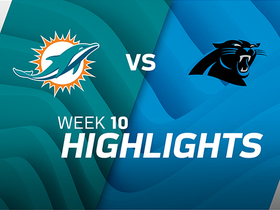 Shepard (ankle) was ruled out for Sunday's season finale against the Cowboys, Jordan Raanan of ESPN.com reports. Analysis: Shepard suffered the ankle injury Week 15 against the Titans and will finish 2018 by missing the final two games of the season. He unfortunately couldn't take advantage of the absence of Odell Beckham (quadriceps), who is set to miss the last four games of the year. 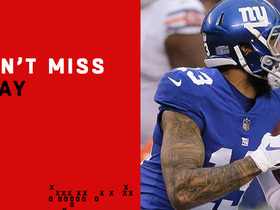 The 28-year-old caught 10 of 19 passes for 188 yards and two touchdowns in 12 games for the Giants this season. Shepard (ankle) didn't practice Thursday, Jordan Raanan of ESPN.com reports. 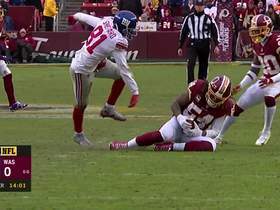 Analysis: Shepard has yet to practice since hurting his ankle Week 15, missing out on additional opportunities to impress the Giants brass with Odell Beckham (quadriceps) sidelined. In the first two games sans Beckham, though, Shepard hauled in just three of his eight targets for 39 yards and one touchdown, so he wasn't exactly efficient with looks prior to the injury. Friday's practice report will impart whether Shepard has a chance to return Sunday against the Cowboys. Shepard (ankle) didn't participate in Wednesday's practice. Analysis: Shepard was held out of Sunday's 28-27 loss to the Colts and now seems to be in danger of missing the season finale against Dallas. With Odell Beckham (quadriceps) also missing practice and Sterling Shepard (hip) a limited participant, the Giants should have some opportunities available for Bennie Fowler, Cody Latimer and Corey Coleman. It was Fowler who led the way in terms of playing time (54 snaps) last week, but he only caught one of three targets for 26 yards. The Giants ruled out Shepard (ankle) for Sunday's game against the Colts. Analysis: Shepard was unable to practice all week because of the injury. The wideout started and was on the field for over half of the Giants' offensive plays last week, so his absence will open up some opportunities for his fellow receivers. Those snaps will likely be allocated in some fashion to Bennie Fowler, Cody Latimer and Corey Coleman. Shepard (ankle) isn't participating in Thursday's practice, Art Stapleton of The Bergen Record reports. Analysis: Shepard was in attendance for the session, but was relegated to working out on the side on a stationary bike. The wideout's back-to-back absences from practice to begin the week have him trending in the wrong direction heading into Sunday's game in Indianapolis. Odell Beckham (quadriceps) was also a spectator for Thursday's practice and may be in line for a third consecutive absence this weekend, potentially leaving the Giants shorthanded at receiver. Shepard (ankle) won't take part in Wednesday's practice, Jordan Raanan of ESPN.com reports. Shepard injured his ankle during Sunday's 17-0 loss to the Titans, Ryan Dunleavy of NJ.com reports. Analysis: Shepard said he's not worried about missing time, despite leaving the locker room in a walking boot, per Art Stapleton of The Bergen Record. 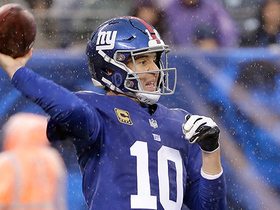 With Odell Beckham (quadriceps) absent the last two games, Shepard has been targeted eight times, hauling in three of them for 39 yards and one touchdown. It's unclear if Beckham is trending toward a return, but Shepard now seems to be in danger of sitting out with his own injury. Shepard caught two of nine targets, collecting 37 receiving yards during Sunday's 17-0 loss to Tennessee. 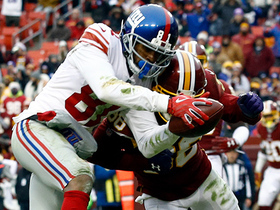 Shepard will start at receiver Sunday against the Titans with Odell Beckham (quadriceps) inactive. 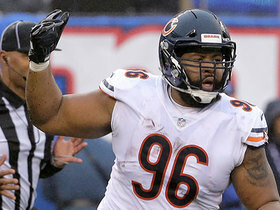 Analysis: While Beckham was sidelined for the first time all season in Week 14 against the Redskins, Shepard entered the starting lineup and played 26 offensive snaps, his most since Week 5. Shepard only drew four targets during the contest, but made his lone reception count, taking it in for an 11-yard touchdown. Though Beckham's second straight absence again opens up extra snaps for Shepard, he doesn't project to see enough volume to make for a comfortable option in fantasy lineups. 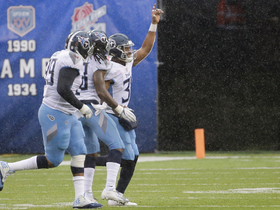 Shepard brought one of four targets for 11 yards and a touchdown during Sunday's 40-16 win over Washington. 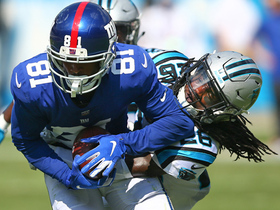 Analysis: Shepard benefited from increased targets with Odell Beckham Jr. (quadriceps) sidelined and managed to salvage his fantasy day by reeling in his only catch for a touchdown. 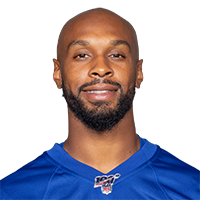 With Beckham likely to retake the field against the Titans in Week 15, Shepard will compete with Corey Coleman for snaps as the Giants' No. 4 wideout going forward. Shepard will enter the starting lineup for Sunday's game against the Redskins with Odell Beckham (quadriceps) inactive. Shepard caught two passes for 59 yards and a touchdown during Sunday's 30-27 win over the Bears. Analysis: Shepard's wide open touchdown grab came on a trick play early in the third quarter, on a 49-yard bomb thrown by wideout Odell Beckham. The 28-year-old also caught one pass for 29 yards Week 12, and appears to be seeing increased usage as a deep threat in the Giants offense. Still, Shepard's combined 11 targets on the season make him difficult to trust for fantasy purposes. Tennessee Titans safety Kevin Byard jumps New York Giants quarterback Eli Manning's deep pass for an interception. New York Giants quarterback Eli Manning drops a 22-yard dime to wide receiver Russell Shepard. Washington Redskins linebacker Mason Foster intercepts New York Giants quarterback Kyle Lauletta's pass. New York Giants quarterback Eli Manning connects with wide receiver Russell Shepard for their second touchdown. NFL Network's "NFL Fantasy Live" crew takes a look at fantasy football performances that helped no one in Week 13. New York Giants wide receiver Odell Beckham Jr. tosses his second touchdown pass of the year with a 49-yard connection to wide receiver Russell Shepard. New York Giants quarterback Eli Manning extends the play in the pocket and completes a 28-yard pass to wide receiver Russell Shepard. New York Giants wide receiver Russell Shepard makes a 55-yard catch that sets up his team in great field position. 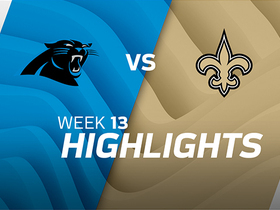 Watch the best plays from the week 13 matchup between the Carolina Panthers and New Orleans Saints.